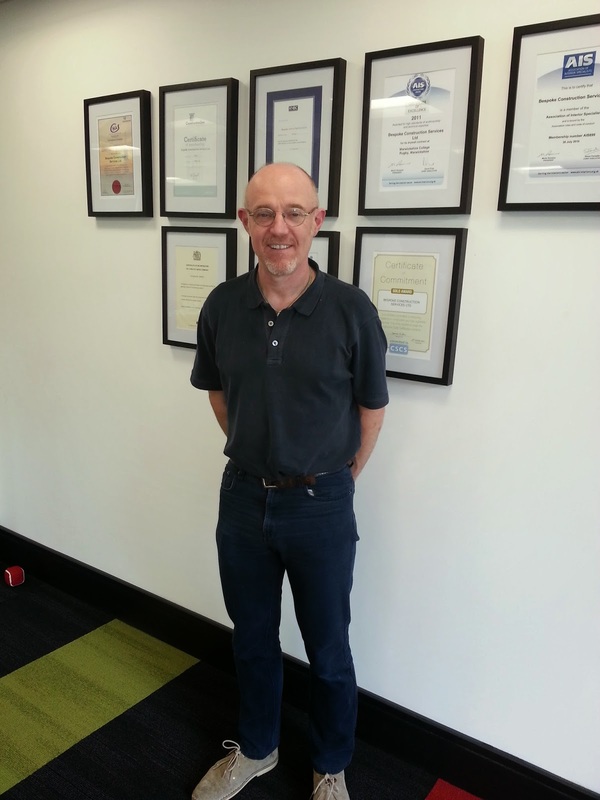 Bespoke Construction would like to welcome their new Project Manager, Steve Trice. Steve is an experienced Project Manager who's worked for many years within the interior fit-out arena of the construction industry. After originally working "on the tools" installing suspended ceilings, partitions and fire protection for 15 years, Steve progressed into Project Management. Initially he started out managing small building work contracts before undertaking a role that saw him working in partnership with several major household insurance companies. During this time he assessed, estimated and reported on claim related damages as well as managing the remedial works. Since then over the last 11 years, Steve's worked across a number of companies managing fit-out projects of varying scale, ranging from small works up to 6 figure contracts. Steve brings a wealth of invaluable experience and knowledge to our team. As such he'll be instrumental in supporting Bespoke as our Interior Fit-Out business continues to grow due to our on-going success and presence in the market place, particularly in the south.